On the occasion of the World Historical and Cultural Cities Expo (WHCCE) 2014, a special Mayor Forum was held on 26 September 2014 in Nanjing with the presence of 12 mayors from various regions and 9 from Chinese cities to discuss issues relating to the preservation and regeneration of cultural heritage in historic cities. Preface: The Nanjing Declaration on the Preservation and Regeneration of Cultural Heritage in Historic Cities (2014) was adopted by the Conference on the Preservation and Regeneration of Cultural Heritage in Historic Cities, UNESCO, Nanjing, China, 26 Sept., 2014. The 2014 World Historical & Cultural Cities Expo (WHCCE) (in Chinese: 世界历史文化名城博览会) and the Conference on the Preservation and Regeneration of Cultural Heritage in Historic Cities (in Chinese: 城市文化遗产保护和可持续发展论坛) were held on September 26 in Nanjing, Jiangsu province, China. On the occasion of the World Historical and Cultural Cities Expo (WHCCE) 2014, a special Mayor Forum was held on 26 September 2014 in Nanjing with the presence of 12 mayors from various regions and 9 from Chinese cities to discuss issues relating to the preservation and regeneration of cultural heritage in historic cities. Themed with “Preserving Cultural Heritage; Pushing Sustainable Development of Cities”, this year’s WHCCE is participated by mayors of 13 member cities of the Organization of World Heritage Cities (OWHC) as well as experts and scholars. They exchanged experience in strengthening the protection of cultural relics and inheriting traditional culture, and jointly signed the Nanjing Declaration in a commitment to preserve cultural heritage in cities. The WHCCE in Nanjing is a biennial international cultural event that has been successfully held five times, attracting mayors of over 200 cities from 51 countries and regions in total. 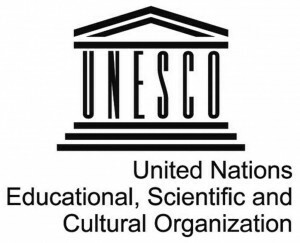 The WHCCE organizing committee and the UNESCO signed a strategic cooperation agreement in May 2013, pledging to make WHCCE a UNESCO-sponsored international, institutionalized and highly distinctive platform for the cooperation and exchange among historical and cultural cities. 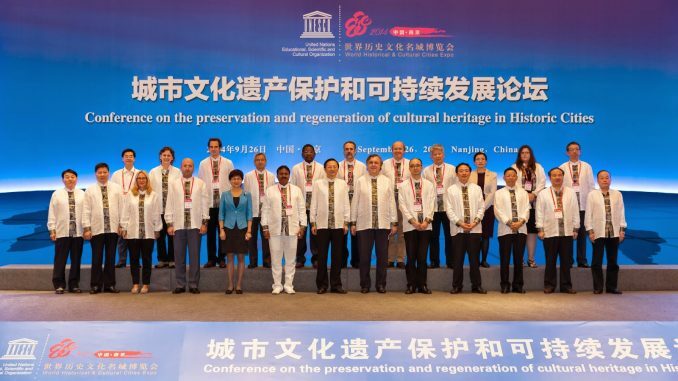 The Conference on the Preservation and Regeneration of Cultural Heritage in Historic Cities, UNESCO, Nanjing, China, 26 Sept., 2014. The Nanjing Declaration was adopted by the Conference on the Preservation and Regeneration of Cultural Heritage in Historic Cities, which organized by UNESCO and the organizing committee of World Historical and Cultural Cities Expo (WHCCE). The Nanjing Declaration covered four topics including: the complexity of development and the challenge of heritage conservation; heritage conservation and urbanization; cultural heritage: the motivation of economic and social development; establishment of new heritage and sustainable development associations.